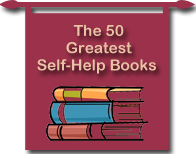 I'm often asked to recommend self-help books; so much so that I have created this website with over 900 recommended books in 46 different categories. Here are the books I find myself recommending most for specific issues. This is not an exhaustive list. Please consult The Directory of Self Help Books for more options. Read David's extensive Book Review on The Anxiety and Phobia Workbook. Read David's extensive Book Review on The The Drama of the Gifted Child.